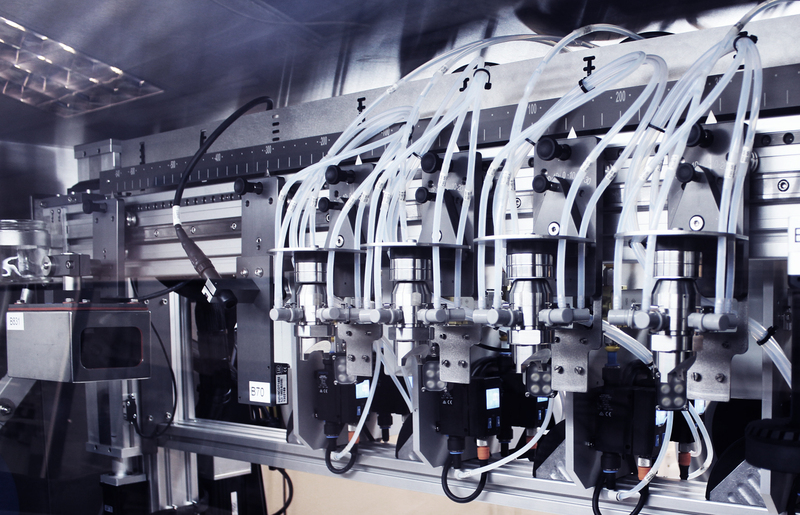 The MSV-700G glove box tool combines M-Solv’s proprietary processes such as One Step Interconnect (OSI) and Nanospray within a temperature controlled inert environment, allowing the deposition, patterning and functionalization of moisture and oxygen sensitive materials. Individual processes can be used or combined to create a highly bespoke hybrid system. 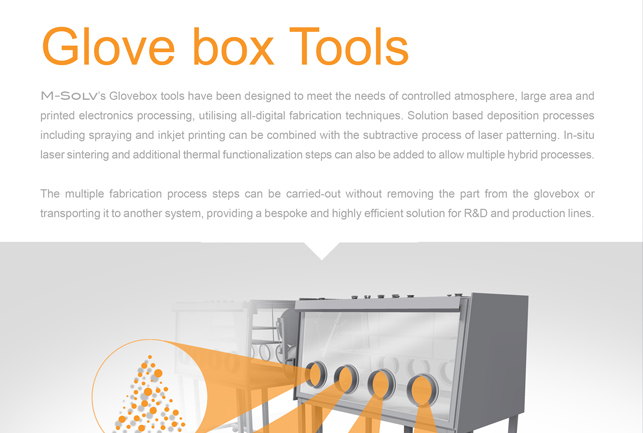 The Glove box tools have been designed to meet the needs of controlled atmosphere, large area and printed electronics processing, utilizing all-digital fabrication techniques. Solution based deposition processes including spraying and inkjet printing can be combined with the subtractive process of laser patterning. In-situ laser sintering and addition thermal functionalization steps can also be added to allow multiple hybrid process. The multiple fabrication steps can be carried out without removing the part from the glove box or transporting it to another system, providing a bespoke and highly efficient solution for R&D and production lines. In addition to the standard configuration, many options are available, please contact us to find out more. M-Solv’s MSV-700G Glove box tools have been designed to meet the needs of controlled atmosphere large area and printed electronics processing, utilising al-digital fabrication techniques. Click here to view.